Last week, when commenting on the world's response to Trump's decision to pull out of the Iran nuclear deal, we said that while Europe still remains in no-man's land - after all Putin still remains the biggest supplier of Europe's energy needs, especially in the winter, Trump's decision to withdraw has officially pitted the US, Israel and Saudi Arabia against not only both Russia, but also China, whose interests in the region were until now, mostly dormant. And, as a next step, we said that "we now look forward to China deploying troops and military equipment to Syria and Iran as the inevitable next step in this escalating global proxy war." But first, China will deploy a far more nuanced Iranian invasion force consisting of... its mega corporations. According to Iran's PressTV, China’s state-owned CNPC - the world's third largest oil and gas company by revenue behind Saudi Aramco and the National Iranian Oil Company - is set to take over a leading role held by Total in a huge gas project in Iran should the French energy giant decide to quit amid US sanctions against the Islamic Republic. Industry sources quoted by Reuters siad that while it was not clear if CNPC had received approvals from Beijing to take over from Total, they said chances that the move could strain relations between the US and China were already high. "The possibility of Total's pullout is quite high now, and in that scenario CNPC will be ready to take it over fully," Reuters quoted a senior state oil official with knowledge of the contract as saying. The news wire also quoted an executive with direct knowledge of the project as adding that planning began "the day the investment was approved." "CNPC foresaw a high probability of a reimposition of (US) sanctions," the executive said. Last December, Reuters reported that CNPC had already started talks with Iran over replacing Total in South Pars. Under the alleged terms of the agreement to develop Phase 11 of South Pars, CNPC could take over Total's 50.1% stake and become operator of the project. CNPC already holds a 30% stake in the field, while Iranian national oil company subsidiary Petropars holds the remaining 19.9%. 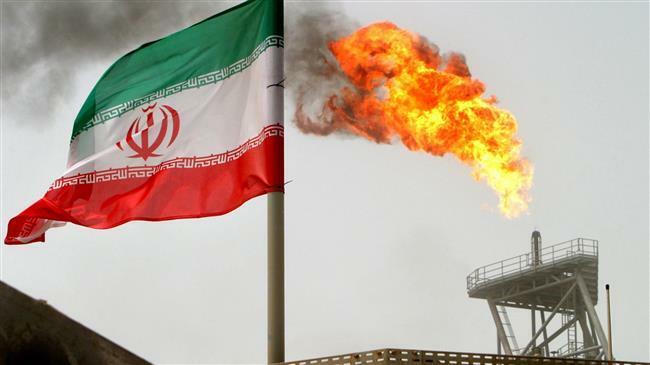 So far, Reuters said, the Chinese oil giant, which already operates two oil fields in Iran, has spent about $20 million on planning to develop the field. Meanwhile, the question is what Total will end up doing: a source "close to Total" was quoted as saying that the French company was analyzing the impact of new sanctions and whether it could get a waiver that would allow it to keep its stake. That however may prove extremely problematic following the threat earlier today by Trump's new National Security Advisor, John Bolton, that EU firms would face US sanctions if they continued to work with the Iranian government. And if Total calls it quits, China is already prepared to swoop in: according to PressTV, CNPC will use its banking unit Bank of Kunlun as a funding and clearing vehicle if it takes over operation of South Pars; the bank was used to settle tens of billions of dollars worth of oil imports during the UN sanctions against Tehran between 2012 and 2015, and is thus well-equipped to skirt US sanctions. Sure enough, the US Treasury sanctioned Kunlun in 2012 for conducting business with Iran, however since most of the bank's settlements during that time were in euros and Chinese renminbi, there was little it could do in terms of credible punishment. If CNPC goes ahead, it would also likely have to develop crucial equipment, such as large-powered compressors needed for developing gas deposits on this scale, on its own. And since leading manufacturers like U.S. firm GE and Germany's Siemens could be barred from supplying to Iran under US sanctions, it means even more Chinese companies will find willing demand for their services in Iran. And just to make sure that trade relations between China and Iran only accelerate, China on Thursday launched a freight train service that connects its northern regions to Iran’s capital Tehran in what could be a major connectivity project of vital importance to the flow of trade between the two countries. 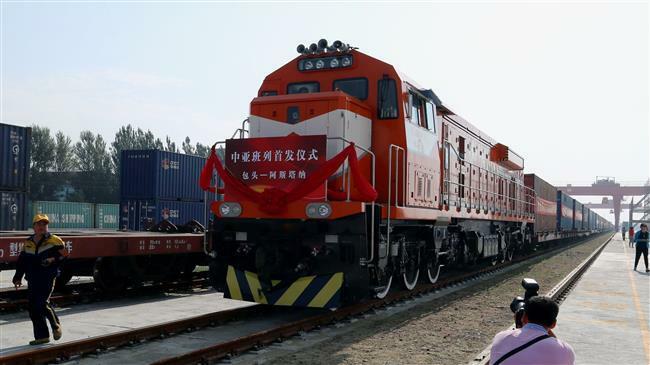 The freight train service would take cargoes from Bayannur in the Inner Mongolia Autonomous Region to Tehran, PressTV reported. China sent an inaugural train toward Iran carrying 1,150 tonnes of sunflower seeds. It would travel a distance of around 8,000 kilometers through Kazakhstan and Turkmenistan and would arrive in Iran within two weeks. “While the United States is now urging foreign companies to wind down their operations in Iran, China appears to be doing the opposite,” wrote the Washington Post in an analysis. And for once, the WaPo was spot on, even without assistance from FBI or NSA leaks. Iranian officials have indicated that the ultimate aim is to extend the rail route to Europe, positioning Iran on a key stretch to the continent, the Guardian wrote in an analysis on the development. These are seen as part of China’s efforts to revive the ancient Silk Road – a trans-Asian trade route that connected the east to Europe and the Mediterranean Sea.